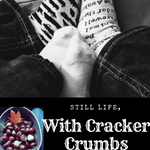 Two Mini-Reviews: Where the Fire Falls and Dear Bob and Sue | Still Life, With Cracker Crumbs..
It’s a rainy, dreamy, dreary morning here, but I’ve got my coffee and I am ready to review! Where the Fire Falls is a book I picked up because I loved the first in this Vintage National Park series so much. I am a huge fan of National Parks, the wilderness, and throw in the vintage aspect and I am there. This book did not disappoint either. Olivia looks and acts the part of the oh so glamorous flapper, a good time girl and artist trying to make it big. She gets the offer of a lifetime when she is sent to Yosemite to paint for a travel magazine – an offer she can’t really refuse, located in the one place she said she would never set foot. Practicality wins, and her trip to Yosemite turns out to be a life changer, especially after meeting rugged, handsome outdoorsman Clark – who also happens to be a former minister. If you are apprehensive about reading a book with a little bit of religion, this book is a good one for you. The religious aspects are very well done, not super in your face, and fit the book and the scenery, settled into the beauty and majesty that is Yosemite. I thoroughly enjoyed this book! And seriously, isn’t this cover awesome? Since we are talking National Parks, let’s talk about Dear Bob and Sue. Can I just fangirl a second? I totally loved this book! It was chock full of real life moments, a real life relationship, adventure, laughter, and I learned lots of things along the way. Parts of the book made me laugh out loud, others made me think, and all of the time sparked my own wanderlust and desire to visit all of these parks as well! I learned so much, it inspired me to learn more about the places I read, and it certainly expanded my own to-do list. I highly recommend this book to anyone else who loves the outdoors and hiking and travel. I like the looks of that second book. I think I had put it on my TBR after you had flashed it in a past post.